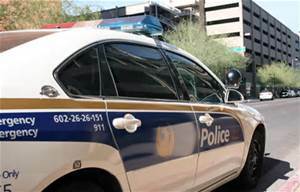 In a recent Op-Ed piece published in the Arizona Republic on October 2, 2015, Republic editorial writer Ed Montini opines that it is time for civilian review on the police department. What follows is the e-mail response penned by PLEA President Ken Crane to Ed Montini. First off let me say thanks again for your support of law enforcement. Time and again you have taken up the banner to support the men and women who daily serve on the front lines to keep citizens safe and that support is appreciated. I saw your column dated October 2nd re: “Cops hate it but it’s time for civilian review.” Let’s talk about that for a minute. Many people may not realize it but the Phoenix PD does have civilians integrated at a variety of levels throughout its departmental review processes. An officer involved in any application of force that results in the death of another person automatically triggers several events. 2. Review by the County Attorney (a civilian who is elected by the citizens of the county in which they serve) who has representatives that respond to the scene. 3. If the County Attorney through their review determines the force was in compliance with state law, the criminal investigation ends. 4. The officer then has to go before a departmental Use of Force Board (UFB) that reviews the application of force to determine if it was in compliance with departmental policy. Three civilians sit on this panel along with a peer officer, a Commander and an Assistant Chief who chairs the committee. Resource personnel from the departments Legal unit, Firearms unit and Tactical training detail are also present to answer questions of a technical nature if necessary. 5. Any Officer who has violated departmental policy (depending on the severity) is subject to internal review by a police department Disciplinary Review Board (DRB). This is a panel Chaired by an Assistant Chief, staffed with two Commanders, two peer officers and two civilians, who review the incident and make a discipline recommendation to the Chief. 6. Any officer who receives formal discipline in the form of a suspension can appeal the decision to the Civil Service Review Board, a five-member panel comprised entirely of civilians. These civilians can decide whether discipline that was imposed should stand, be overturned or mitigated to a lower level. If the above points are not enough then consider: the Police Chief is directly accountable to the City Manager, a civilian, who in turn is directly accountable to the Mayor and City Council, a panel of civilians. The average person might not give this a lot of thought but when broken down, it shows there is a lot of civilian review interwoven through many processes at many levels. In your editorial you say rank and file officers are wary of citizen review panels. What makes officers wary is knowing they may be judged by persons who are ill informed with regard to Supreme Court case law on how force is to be evaluated as well as relevant state law on justification for use of force, not to mention department policies. They must have confidence that those who are judging their actions understand the rules and will render decisions based on facts and policy rather than emotion or the politics and community pressure surrounding a given event. Rather than being a department that shuts citizens out, the Phoenix PD has always gone out of its way to be inclusive with regard to having citizens actively engaged on a variety of committees within the department as well as panels that review officer conduct and discipline. More importantly, the study of officer-involved shootings spanning 2009-2014 that was just released was self-initiated rather than compelled and shows that the department is being proactive and transparent with this type of data. Maybe one of the most compelling pieces of evidence that shows civilian involvement is working is that, unlike many major city police departments, the Phoenix PD has never been close to being placed under consent decree by the US Department of Justice.